Now the snow has cleared we have been busy with the winter projects. 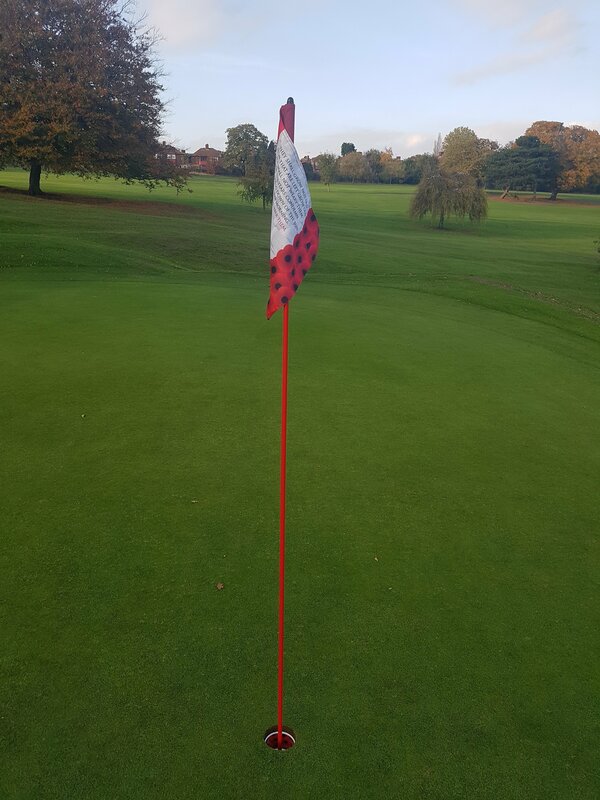 The 3rd Tees have been to wet to continue so we’ve switch to a dryer project on the install of a new path to the left of the 17th green, this will improve play during the winter months. 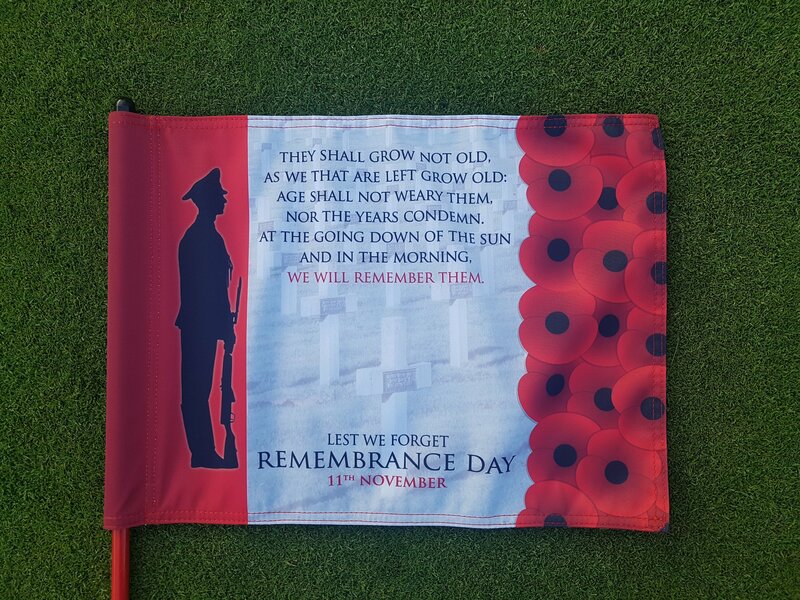 “Lest We Forget ” Remberance Day Flag on the 11th Hole.